November 18, 2016 – The early missions of Space Launch System (SLS) rocket and the Orion spacecraft will be the first of several missions that travel more than 40,000 miles beyond the moon to demonstrate capabilities in deep space farther than humans have ever traveled, but close enough to return home in days or weeks if needed. With the SLS, Orion, and Exploration Ground Systems programs now past their respective critical design reviews and flight hardware in production for the first integrated mission, NASA is transitioning from design and development to long-term affordability and sustainability in support of the Journey to Mars. The agency issued a request for information (RFI) inviting industry and NASA centers to provide input that will maximize the long term efficiency and sustainability of production, operations, and maintenance for SLS, Orion, and the supporting ground systems, thereby freeing resources to invest in additional capabilities needed to extend a permanent human presence into deep space. Other required deep space exploration capabilities include habitation, spacewalk activity and docking systems, in-space propulsion, and Mars surface exploration systems, as well as continuous safety improvements. NASA aims to maximize the long term affordability and sustainability of these programs by minimizing production, operations, and maintenance costs. Potential responses may include ideas and approaches related to acquisition; design, engineering, or workforce changes; concepts of operation; and management. The information submitted in response to this RFI will inform future acquisition approaches and concepts. This RFI is one element of NASA’s overall strategic emphasis on promoting sustainable exploration of the solar system by actively soliciting innovative solutions and partnership opportunities. The focus of this RFI is on efficiencies across the Exploration Systems Development enterprise including the SLS, Orion, and Exploration Ground Systems programs. The results of this RFI will complement the information sought in previous NASA requests as the agency continues to mature its exploration plans. 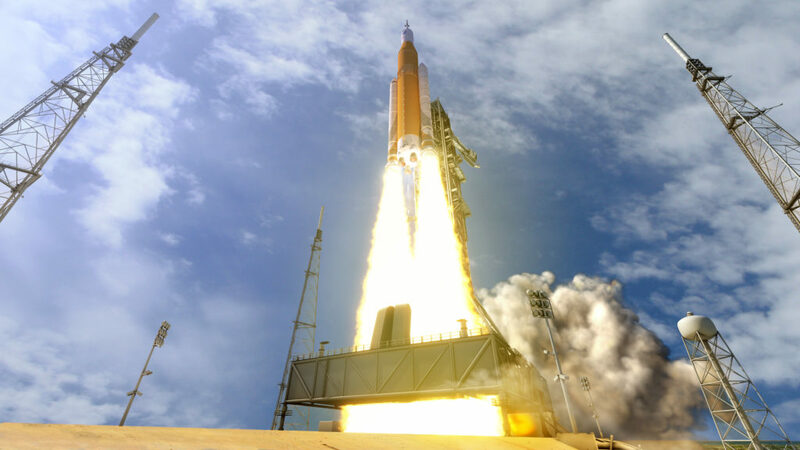 Two recent requests for information have sought responses on the production and operations of future Orion spacecraft as well as possible payload concepts for the second flight of the SLS rocket. The RFI for Orion production and operations focused on acquisition planning for the production and operations of the Orion spacecraft, including assessing of the feasibility of competition for Orion spacecraft for the third exploration mission and beyond. The request for payloads concepts on SLS focused on planning for potential scientific and technological payloads that could further NASA’s exploration objectives on the second mission and could be co-manifested within the universal stage adaptor that sits between the Orion spacecraft and rocket’s upper stage. Achieving the goal of extending a permanent human presence in deep space requires both a cadence of progress and continuity of purpose over many years as well as strategic flexibility to take advantage of new capabilities, innovative business models, new discoveries, new technologies, and other emerging opportunities as they present themselves, including those available through strategic acquisition planning.